"Is Easter Originally a Pagan Holiday?" “Is Easter Originally a Pagan rather than a Christian holiday, as shown by its very name and by the fact that its date is determined by the full moon after the Spring equinox?” Anyone making this charge shows a total lack of comprehension of global Christianity. In fact, only a person speaking English or German could even possibly make this charge. First, let’s deal with the date. Easter is the first Sunday after the first full moon following March 21 (historically, the Spring equinox). The reason, however, has nothing to do with paganism. It has everything to do with Judaism and with Christ’s Resurrection. 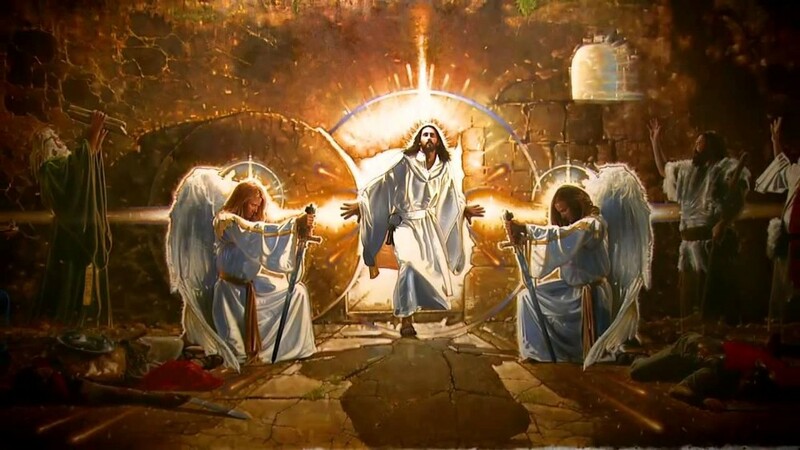 Christ was resurrected on Sunday—the first day of the week (Matthew 28:1), thus, since the First Council of Nicaea in A.D. 325, all Christians have celebrated His Resurrection on Sunday. Prior to that, most celebrated it on Sunday, but some, known as Quartodecimians (“Fourteenth-ers”), celebrated it on the 14th day of the Jewish month of Nisan, when Passover occurred. At First Nicaea all Christians agreed to celebrate the Resurrection of Christ on the first Sunday after the 14th of Nisan, because that was the day Christ was Resurrected in the first century—the Sunday after Passover. Because first century Jews used a lunar calendar, every month was twenty-eight days long, beginning with the new moon until the full moon on the 14th of the month. Nisan, being the month in which the Spring equinox occurred, always had Passover—the 14th of Nisan—falling on the first full moon on or after the Spring equinox. Thus since Passover was always on or after the first full moon after the Spring equinox, and since the Resurrection was the first Sunday after Passover, Easter is always the first Sunday after the first full moon after March 21 (historically, the Spring equinox). There is nothing about a pagan lunar celebration in here. It has nothing to do with paganism, but everything to do with the Resurrection of Christ in its Jewish-Passover context. Now let us deal with the name of Easter. The fact is that there are only two languages in which the name has any pagan associations whatsoever: English and German. This, of course, is a problem for King James “Only-ites,” since the term “Easter” appears in the King James Version in Acts 12:4 as a translation for the Jewish holiday of Passover. In English, of course, the word is “Easter” and in German, “Ostern.” These are related in name to a pagan spring festival, whose name, if you check a dictionary, was derived from the prehistoric West Germanic word akin to the Old English term “east,” which means, simply enough, “east,” the direction of the rising sun. It has nothing to do, contrary to what you will hear from some anti-Easter-ites, with the goddess Ishtar. But in virtually every language, except English and German, the name of Easter is derived from the Jewish word “Pesach” or “Passover.” Thus, in Greek and in Latin, the term for Easter is Pascha. From there it passed into the Romance languages, and so in Spanish it is Pascua; in Italian, Pasqua; in French, Paques; and in Portugese, Pascoa. It also passed into the non-Romance languages, such as Dutch, where it is Pasen; and Danish, where it is Paaske. Thus only in the highly Protestant countries of Germany (where the Reformation started) and England (where the intense persecution and martyrdom of Catholics was the harshest), does the term “Easter” have any pagan associations at all. So perhaps in these two Protestant countries paganism was not sufficiently stamped out to use the Judeo-Christian term for the celebration of Christ’s Resurrection that was used everywhere else in Europe.